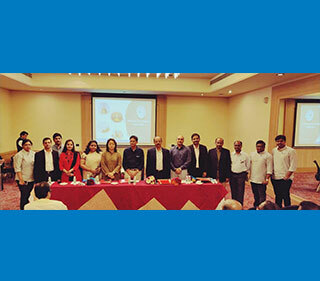 September was a big month for PMI Pune-Deccan Chapter as it crossed the 1,000 member mark. PMI Pune-Deccan India Chapter organized monthly seminars on topics of wide interest among project managers. On 23 September, Pravin Rameshlal Jain, technical director, Dataserve Infotech Pvt. Ltd., gave a presentation on program governance. The November symposium was based on the theme, “Project Management Tools – an Art of Seamless Management.” It focused on developing awareness about the types of tools in the market for different scales and types of industry, their features, practical uses, and factors to be considered before choosing a tool. 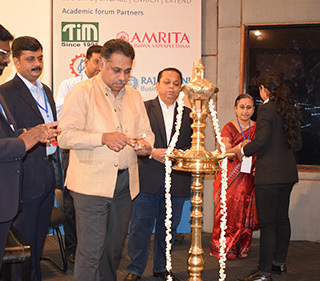 Rajaram Rao, president, Pune-Deccan India Chapter, delivered the welcome note and set the context of the symposium. 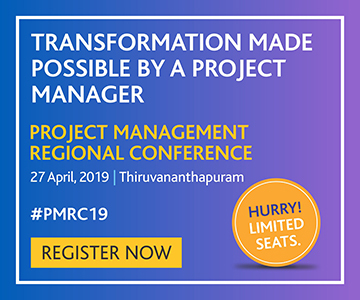 Six keynote speakers highlighted the features of different project management tools: Sree Duddilla and Varun Vijayagha from Smart Connect Technologies spoke about UNFYD®PMO; Dhananjay Wagholikar co-founder, Zilicus, spoke about ZilicusPM software; Rahul Sudame, program manager, Persistent Systems, and agile project management proponent, spoke about the Kanban technique for management, and the tools Trello and Learn kit; Jay Dholakia, vice president and COO, PMI Pune-Deccan India Chapter, spoke about Microsoft Project tool; Ravi Mirchandani, a senior trainer and career coach, discussed the features of IBM Watson Talent; Ashish Belagali spoke about the Kommbox and MFG, tools for project communication, integration, and the management of stakeholders, risks, resources, and procurement. 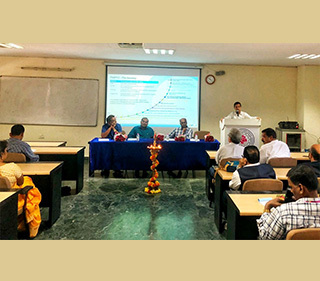 In November, the chapter organized a two-day workshop on project management for the departments of mechanical and civil engineering of Walchand College of Engineering, Sangli, in Maharashtra. Industry veterans and chapter volunteers shared their experiences of adopting project management best practices. 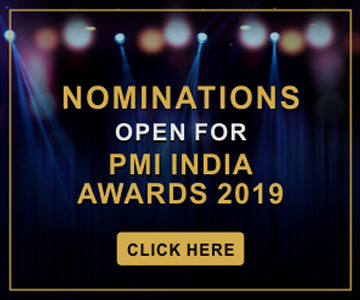 The experts explained the processes covered in PMI’s A Guide to the Project Management Body of Knowledge (PMBOK® Guide), and gave an overview of career options available to students. As many as 135 students from colleges in Pune, Sangali, Satara, and Kolhapur attended it. The speakers from the chapter were Girish Kelkar, Rajaram Rao, Narauttam Das, Manavendra Singh, Dipti Kshirsagar, and Ramesh Pattnaik. The chapter held a workshop on 11 November that provided practitioners an overview of the PMBOK® Guide sixth edition. The workshop covered structural changes, changes in Knowledge Areas, processes, tools, and techniques, alignment with agile project management, and the rationale behind the changes. 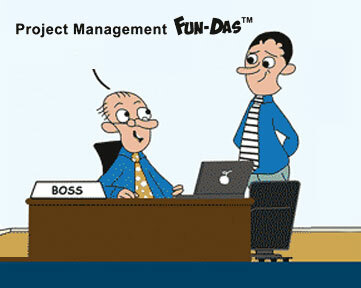 It was conducted by P Seenivasan PMP, PgMP, PfMP, director, Proventures Education and Consulting Services Pvt. Ltd.
As part of its continued outreach efforts towards school students, the chapter held a session on project management as a life skill at Pujya Bapuji Salunkhe Vidyalay, Pargaon Khandala, a rural school on the outskirts of Pune city, on 24 November. There were sessions for students and teachers. Makarand Hardas, vice president – academic, and chapter liaison for PMI Education Foundation, conducted the sessions. He was accompanied by chapter volunteer, Prajakta Dhamal-Bhoite, who gave a presentation on spoken English skills. A total of 95 students and nine teachers attended the sessions. Chapter volunteer, Vidya Chavan, conducted a session on “Project Management Skills for Life” for grade 11 students of Hutatma Rajguru Mahavidyalay, a rural school on the outskirts of Pune. Nearly 100 students and four teachers attended this session conducted on 9 November.